As you’d except from the home of opera, Italy is full of famous, and some even great opera houses – but none surpasses the Teatro alla Scala. Built in 1776-78 with the approval of the Empress Maria Theresa of Austria, the stage at La Scala has played host to many of the preeminent names in the history of opera and ballet. It has also seen the premieres of operas by composers including Rossini, Puccini – and Verdi, with whom the opera house had a long and special relationship, even if he did refuse to let his music be played there for some time! Arguably the best opera house in the world, only the Met in New York can realistically claim to challenge it for that honour, so for any opera fan La Scala is in many ways a place of pilgrimage. 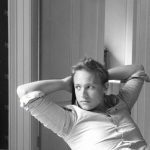 However, a few years back I went to see Aida at another famous Italian opera house – the Arena di Verona – and it’s fair to say I was left numbed by the experience, if not slightly scared. Seated in the second row behind the who’s who of local society (and immediately in front of a row of Japanese tourists who to a T were all asleep by the moment the second bar had ended, creating one of the funniest sights I’ve seen at an opera), I witnessed what for me was the most bizarre yet Italian of productions. The production itself was first staged prior to 1910. Clearly it had not been updated even for reasons of modern day sensitivity as, entering left, right and centre, the stage was flooded with the living incarnation of golliwogs in Egyptian dress – and, what’s more, they were children. Clad in all over brown body fleshings with blacked up faces and frizzy wigs, it was clear that the racial harmony and tolerance that Italy is so famed for was alive and well. Then came the circus show of live horses being ridden across stage, while Roman soldiers stood guard at intervals around the back of the stage holding spears, flaming torches and scratching their balls. To top off the staging, Aida was played by, well lets just say one felt sorry for the poor souls who had to carry her in on her litter. The Pharaoh, Aida’s father, only required the usual four litter bearers, but Aida, the great beauty that is meant to make all fall instantly in love with her, required eight and still they and the litter were groaning under the weight. I just hope the poor buggers got danger money. But what of the music I hear you ask, surely the music of Verdi compensated for this. Well would that it had, but no, at the end of every aria, every section of music, every bar and at every pause for breath, the cry went up from my left ‘Bravo maestro, Bravissimo’. This would lead to the conductor turning to bow, prompting those on stage to walk to each corner and bow, bow in the centre and then repeat. In all the opera ran for four hours not the usual three (including interval) it should have and I heard more of the gaggle than the orchestra. So, when a friend asked if I’d join him at La Scala to see Verdi’s Il due Foscari with the legendary Placedo Domingo in the role of Doge Foscari of Venice, I was in two minds. Yes it was a chance to visit this august house and see an equally renowned singer, but then again it was opera in Italy, a conservative country when it comes to production style as I found to my cost with Aida. It would be an expensive and wasted trip if it turned out to be the same sort of calamity. So it was with trepidation that I agreed. When it came to, I was looking forward to the trip, as much for the chance to return to Milan, even if it was for such a short period (read my guide to Milan Two Days in Milan). Having arrived on an early flight, settled in, briefly got reacquainted with the city before knocking back an aperitivo at the Martin Terrace bar overlooking the Duomo, I headed to the famous opera house. While the outside is rather plain architecturally in comparison to most opera houses, the interior is another matter. The stairs and corridors are low ceilinged and unadorned but the theatre is what one expects from such an historic opera house: carved wood and stucco, painted white and gilded in gold, red damask covering the walls and an ornate grand chandelier of Bohemian crystal consisting of 383 lights. The seating too is traditional for opera houses of La Scala’s age, consisting of stalls, six tiers of boxes, the sale of which paid for the theatre’s original construction, and, above these, two levels of galleries. 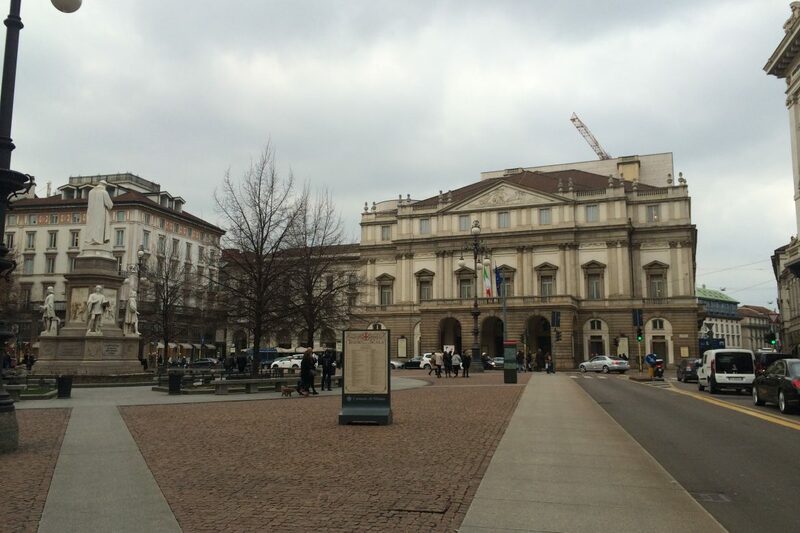 The galleries, or loggione, are where you will find the die hard Milanese opera fans and devotees of La Scala. They have been known to boo lead singers off stage, a true mark of their disapproval as La Scala is normally very understated and reserved in its applause and reaction to the events on stage. We, like the majority, were seated in a box and oh what a mistake that was. Decorated in the same rich style as the rest of the auditorium, with the price of the tickets matching, we were presented with stools to sit on. Yes you read right, stools and, what’s more, they allowed almost no view of the stage. The mirrors that are seen hanging in the boxes in the 1999 Anthony Minghella classic The Talented Mr Ripley where La Scala fills in as Rome’s opera house, were no longer there, though sorely needed. To compound matters further, the subtitles were in one little bar attached to the front of the box. Unfortunately, and as you will know if you’ve had experience of these bars, they are impossible to read unless at the perfect angle, something that cannot be achieved at La Scala. The trouble is that, when everyone in the box is sitting at a different height, the bar can never be at the right angle for more than two people. Not that this really matters: the bar is right at the front of the narrow box so anyone behind the front two rows can’t see it anyway – , not that they can see it either, as they have to lean out of the box, and over the subtitle bar, so that they can see the stage! As is the norm in Italy, the staging is very conservative, though stripped back in this staging of Il due Foscari. While I didn’t get to see much of the production, I could hear it all, and a finer quality of voice I have not come across. Domingo was in fine form and in this was matched by the rest of the cast and the superb chorus. Once I gave up trying to see the stage and just sat back (or rather leaned against the wall as my back was killing me) and let the music wash over me, it became a far more pleasant experience. The music was mesmerising and close to transformative, lulling you into a serene calm. Of course the problem with this is that the large sum you pay for a ticket is more for the cost of the staging and cast than anything. I hadn’t paid to listen to a recital; I paid to see a production. 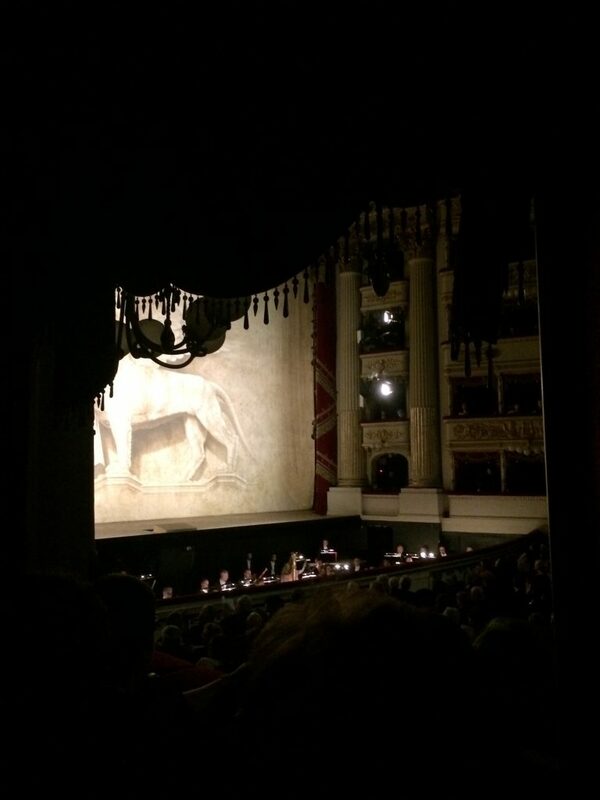 While I won’t go back to Verona’s opera festival, I will return to La Scala though, now forearmed with knowledge of the seats, I shall save that bit longer to make sure I can afford a seat with a view. Most importantly, the experience has not put me off trying other top Italian opera houses.